There was an excellent performance by the school orchestra today. Pupils from our school and Holy Rosary N.S. come together to play in the orchestra. They are lucky to have Mr. James Dunne train them all year. They practise on a Tuesday morning , in our school, from 8am until school starts. They practise again after school on a Tuesday in Holy Rosary N.S. All their hard work showed in their great performance today. 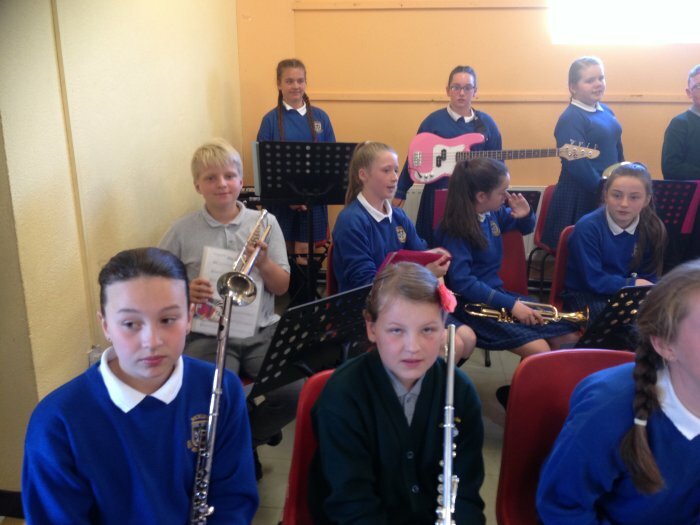 Mr. Dunne invited pupils from 3rd class up to join the orchestra next year. 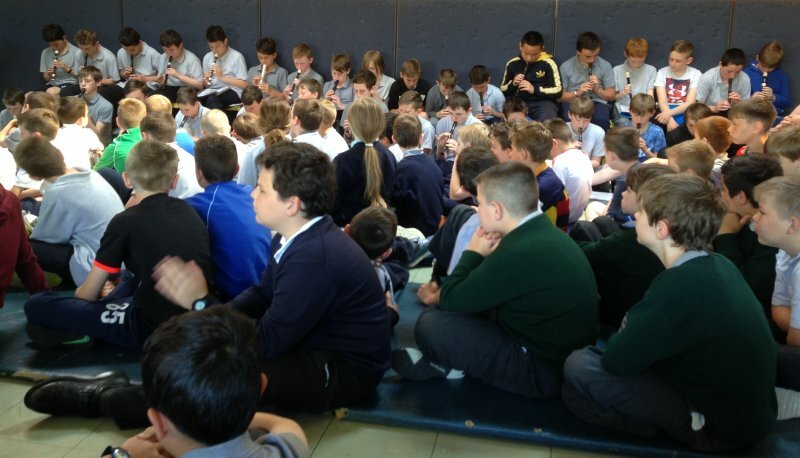 Pupils from 6th class in St.Patrick's N.S. showed their talent as they played their recorders. They played wonderfully.